One of the nuggets I picked up from Zach Holman's dotfiles was putting a count of my todo.txt items in my right side zsh prompt. 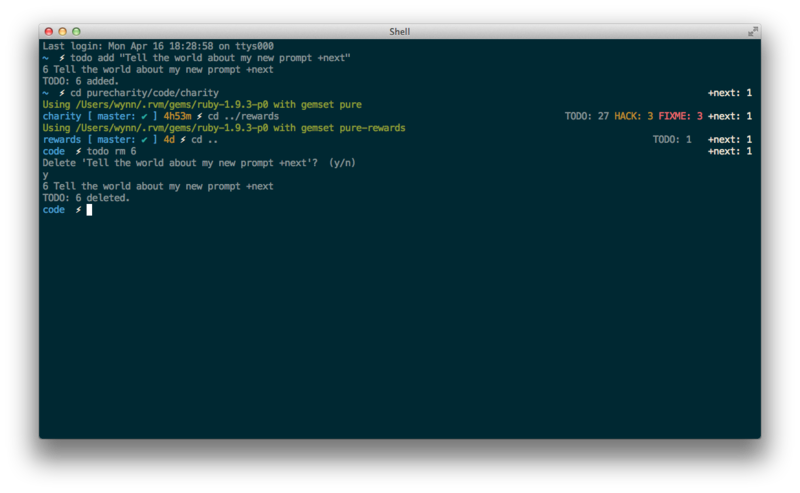 That little number now nags me any time I use my terminal. Now, if I'm in a project with any of those custom notes, the counts appear in my right side prompt in addition to my regular personal todo.txt tally. Check the function in my dotfiles repo if you're interested or have ideas on how to improve it.